Tax breaks are needed to achieve the Government’s long-held goal of having 64,000 electric vehicles on the road by the end of 2021, according to EV advocacy group Drive Electric. One scheme the Government should take a serious look at adopting is Drive Electric’s proposed fringe benefit tax variation ‘Project Switch’, the organisation’s chairman Mark Gilbert says. “2021 is getting closer month-by-month, and whilst we stand back and applaud the achievement of 9000 registered EVs on our roads, this rate of growth will not get us to the desired 64,000 EVs,” he says. ‘Project Switch’ is an incentive, that would see EVs purchased by businesses for fleet use attracting the likely lower value of FBT linked to the fleet’s outgoing fossil fuel models. That’s compared with the higher value that would result if the new EV price was computed without the incentive. It could be linked to a maximum number of vehicles, or fleet rotations – so the total cost is visible and quantified, Gilbert says. New EVs cost between $50,000 and $80,000 compared with $30,000 and $40,000 for a comparable internal combustion engine (ICE) car that runs on fossil fuel. “The Government needs to think hard about where its priorities lie in this area,” Gilbert says. The FBT message and opportunity is not new. It is echoed by the Motor Industry Association and the Sustainable Business Council, as well as others, and Drive Electric believes it could be the lever that delivers the best outcome. 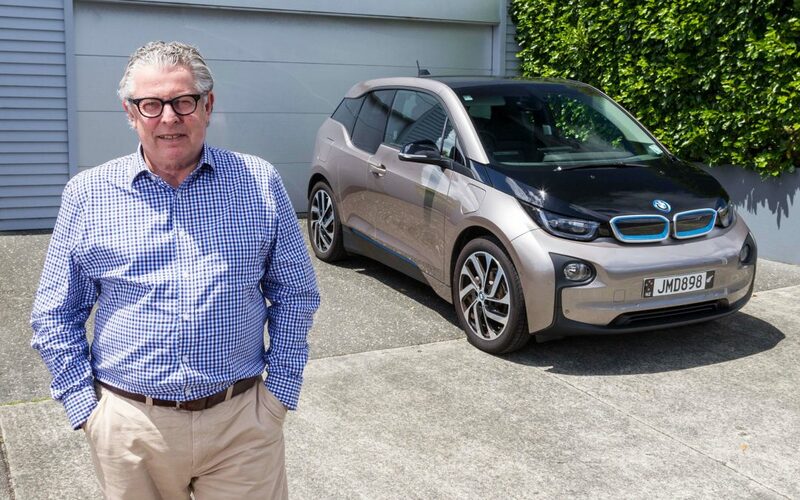 “Some big corporates like Drive Electric members Mercury, Meridian Energy and Westpac have taken the financial plunge to transition their fleets to EV technology, despite the upfront cost. The Meridian Energy case study used in the Whitepaper showed EVs retained a high residual value of 87% after 14 months, compared with 70-75% for the internal combustion equivalent. And the total cost of ownership for one of Meridian’s EVs was $695 per annum compared with $6000-$7000 for an equivalent ICE vehicle. But many businesses struggle with the idea and aren’t able to make the move to EVs without a little bit of help, Gilbert says. “It just doesn’t make financial sense for them at this stage. This may be linked to our historical dependence on the best deal or discount on the day, rather than considering the total cost of ownership for a vehicle. A transactional, rather than transformational approach. “Businesses that invest in EV technology will reap the benefits of lower running and servicing costs over time. ‘Project Switch’, is both an enabler, and an attractive proposition because it would be revenue neutral to companies, and IRD, Gilbert says. It is revenue neutral because if it isn’t implemented, companies will likely replace their existing vehicles with the same or similar makes and models at a similar price. And Gilbert predicts FBT relief could be the tipping point needed to get more EVs into New Zealand’s fleet. “Once those new EVs are no longer required in company fleets after a couple of years, they become high quality options for the used car market. “Currently, the used EV market is dominated by second-hand imports from countries like Japan and the UK. Editor’s notes: Drive Electric is a not-for-profit group that includes many electricity, financial services/car leasing and transport industry leaders on its board. It has several functions, including undertaking research about issues affecting electric vehicles, lobbying the government to continue setting ambitious targets for electric vehicle uptake and helping educate the public and corporate sector about the benefits of EVs. Its goal is to mainstream EVs and achieve more energy independence over time.